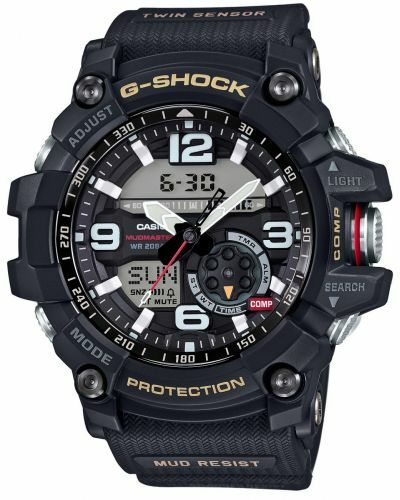 App reminder optionsAvailable to pre-order now expected in October 2018! 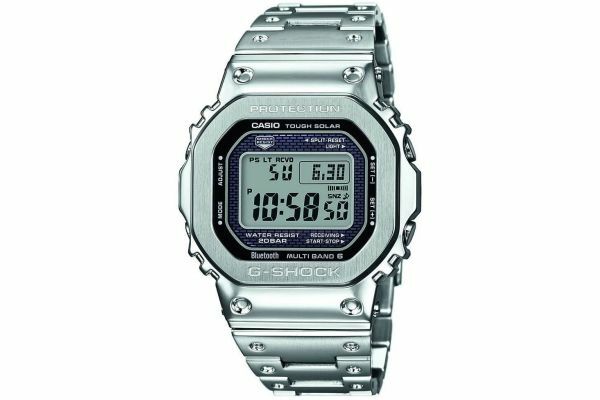 Take a step back in time with this retro inspired hybrid smartwatch by renowned watchmakers Casio as part of their coveted G-Shock collection. 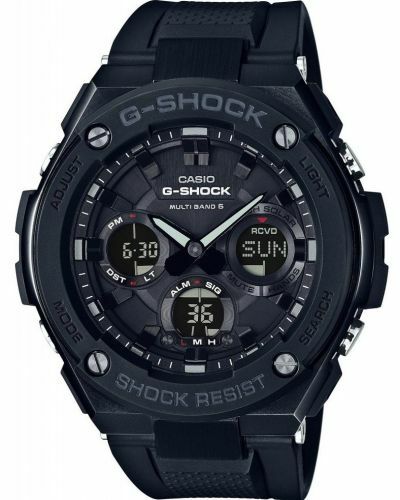 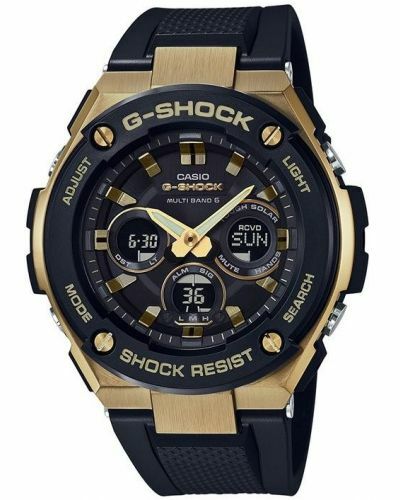 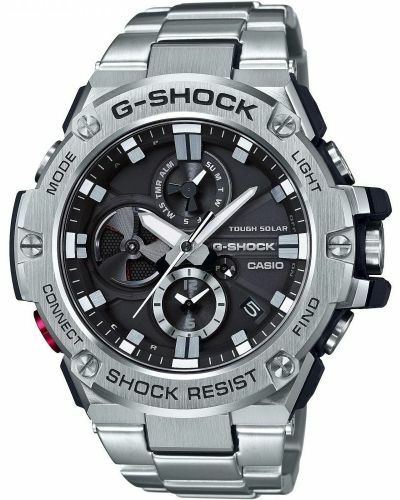 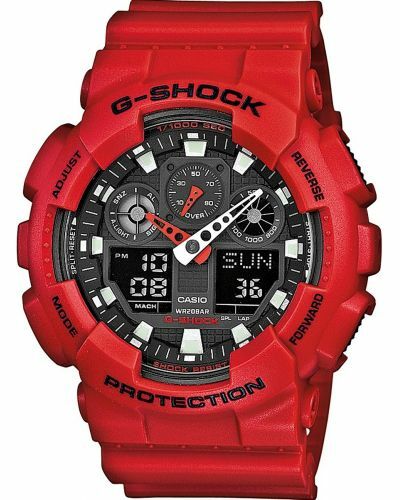 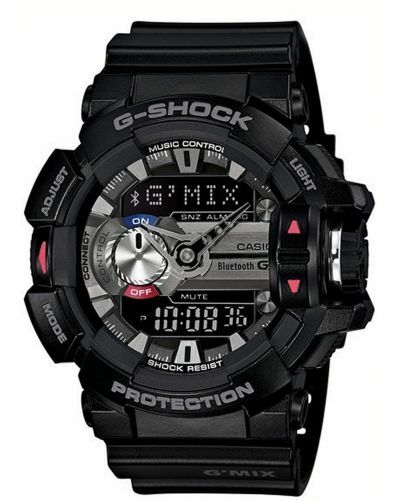 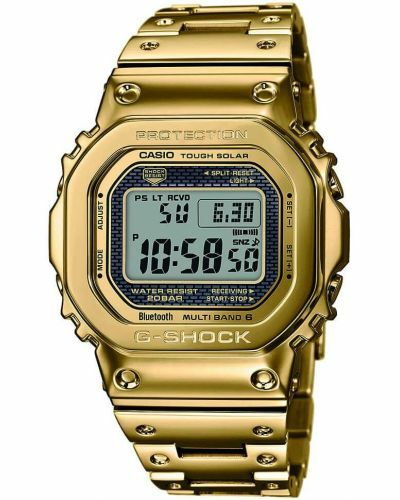 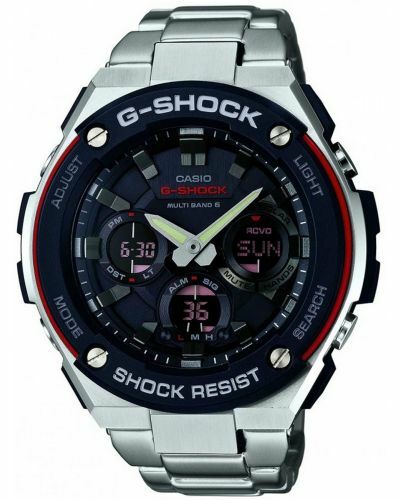 With a stainless steel case and bezel which hones the shock resistant technology patented by Casio in their G-Shock range, this classic watch is certainly more than meets the eye. 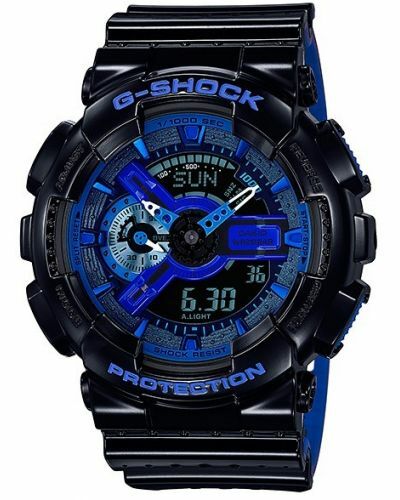 With its digital LCD display this limited edition watch GMW-B5000D-1ER has a myriad of complications including a stopwatch/chronograph, date display, world time, smartphone connectivity for in app notifications. 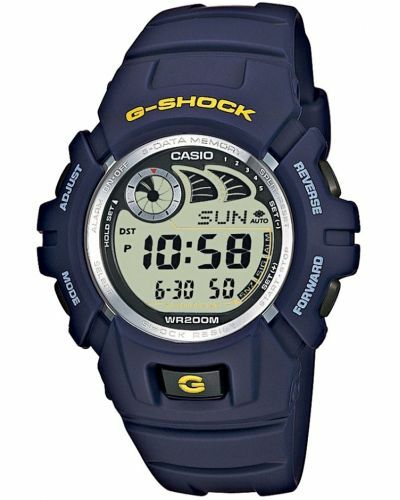 This casio watch is capable of setting up to 5 daily alarms and reminders, displaying the time in different languages and can present data such as longitude and latitude, map co-ordinates and of course the time. 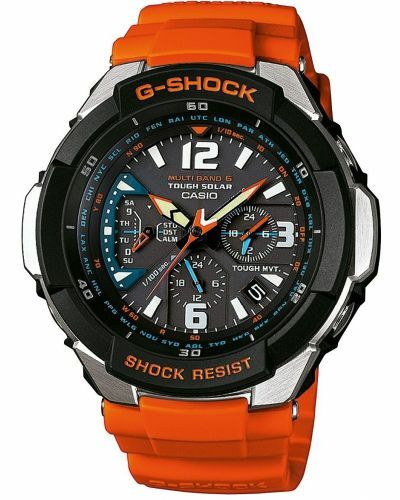 Utilisng solar technology, this watch will never require a battery change and is sychronised using radio control providing the most accurate of time keeping. 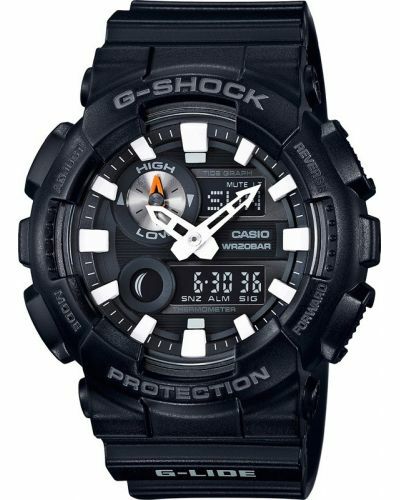 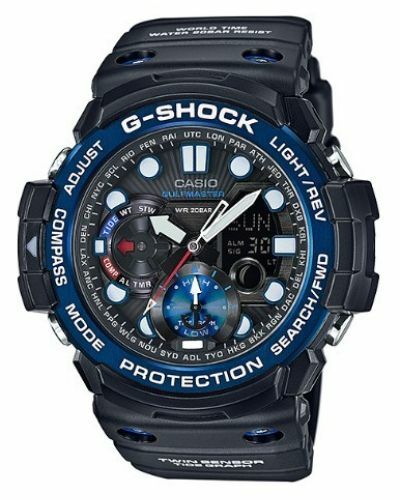 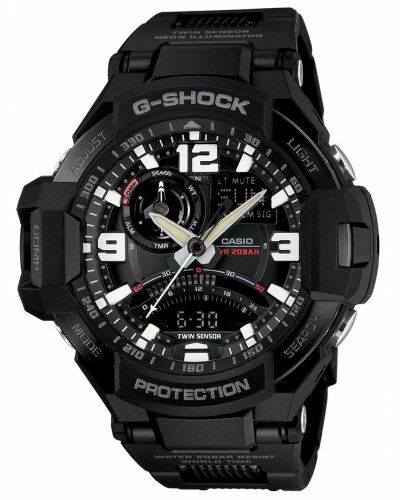 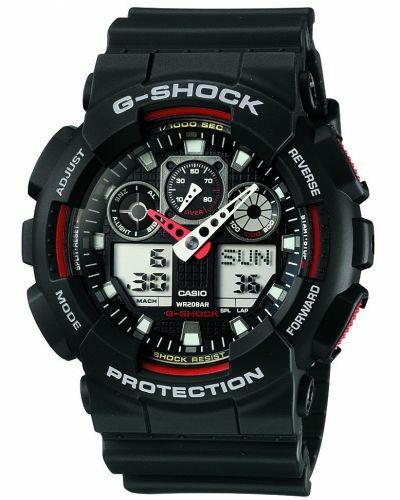 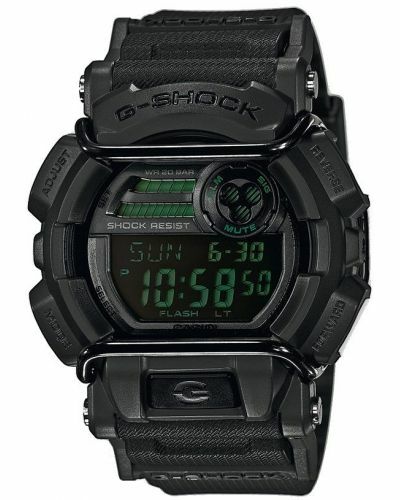 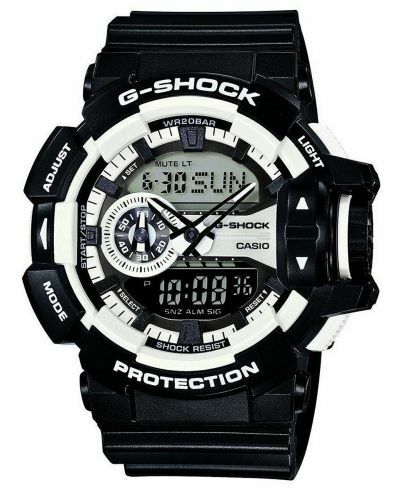 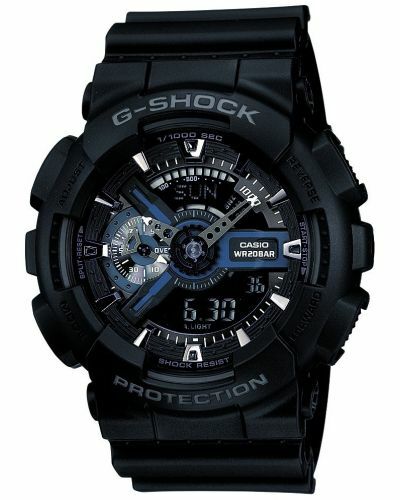 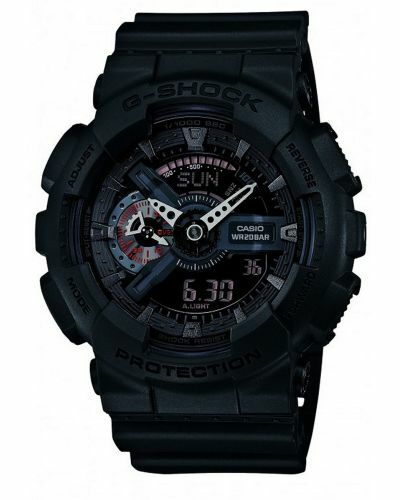 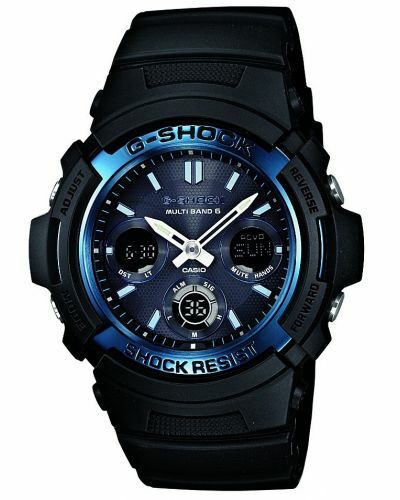 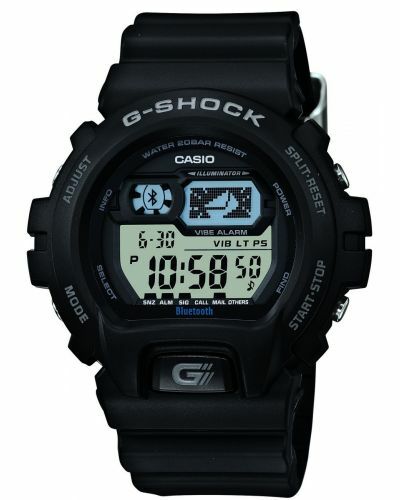 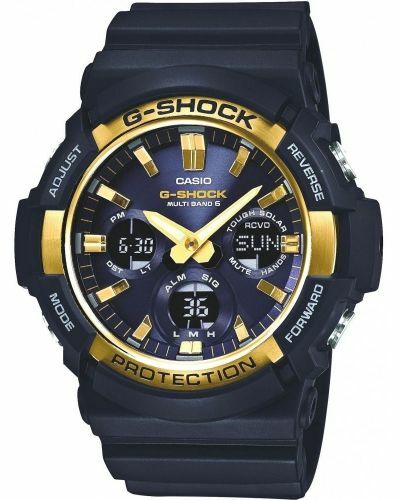 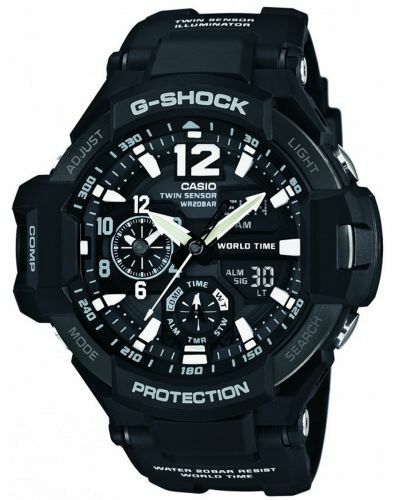 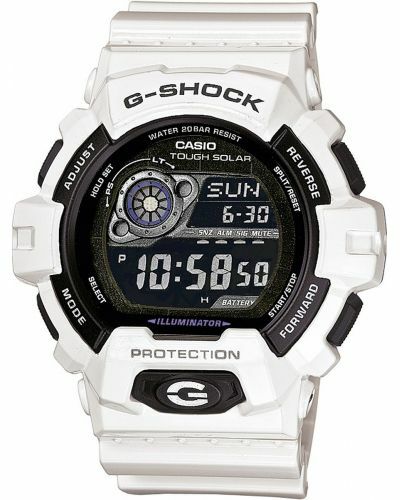 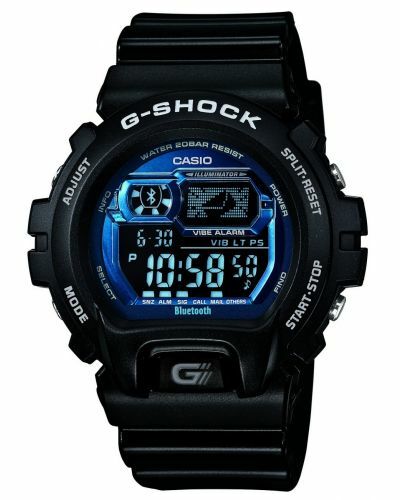 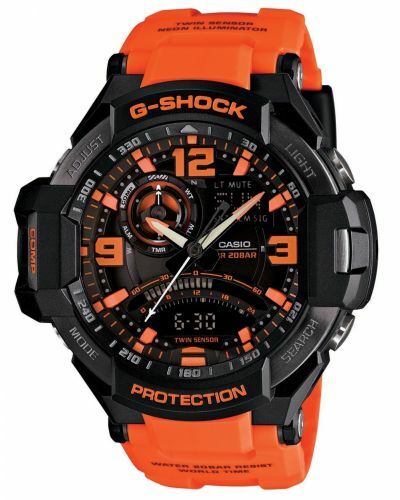 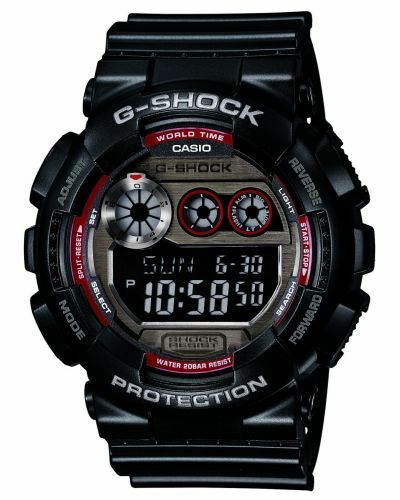 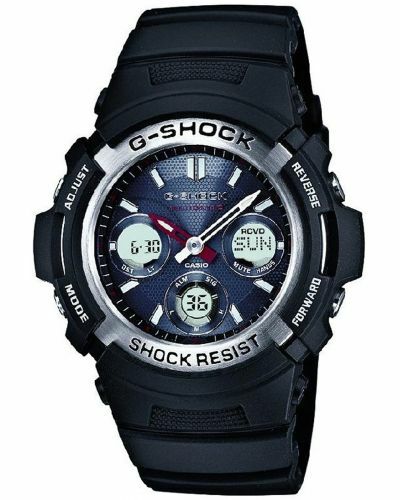 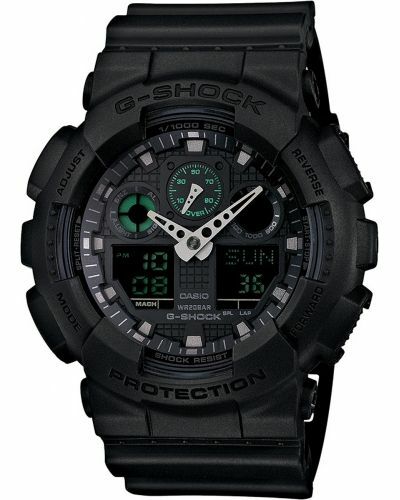 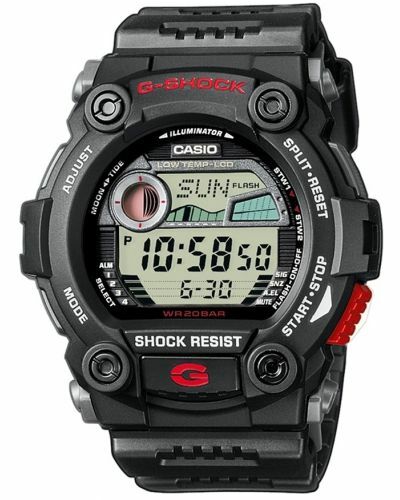 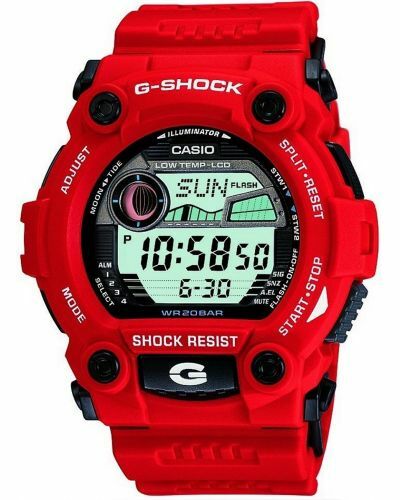 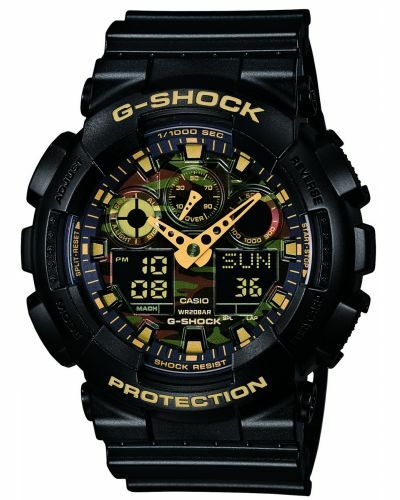 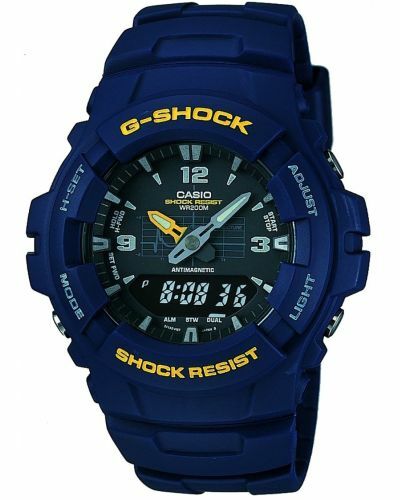 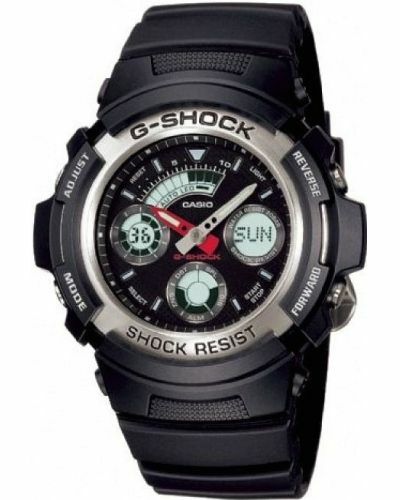 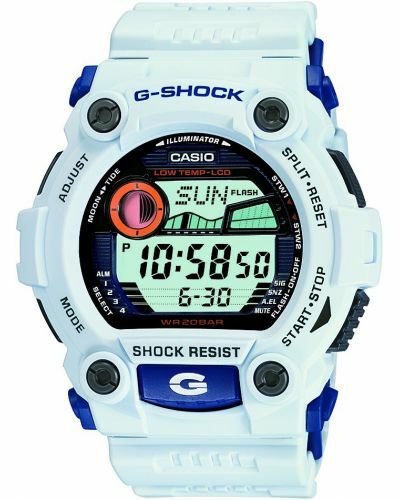 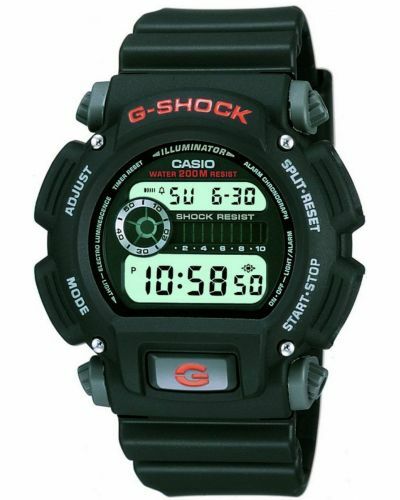 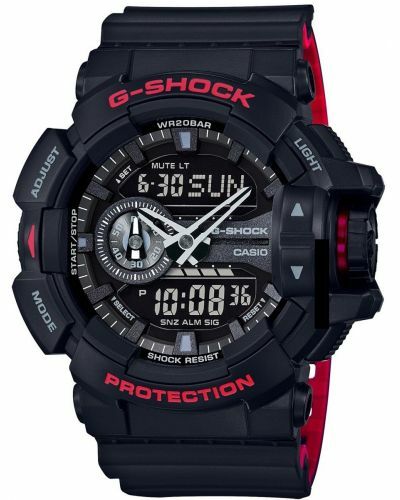 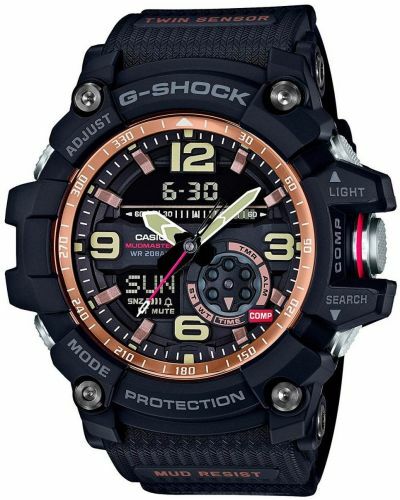 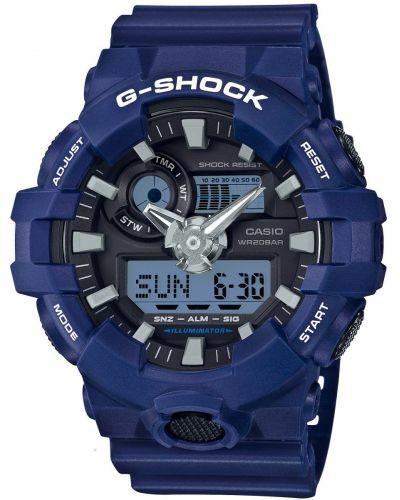 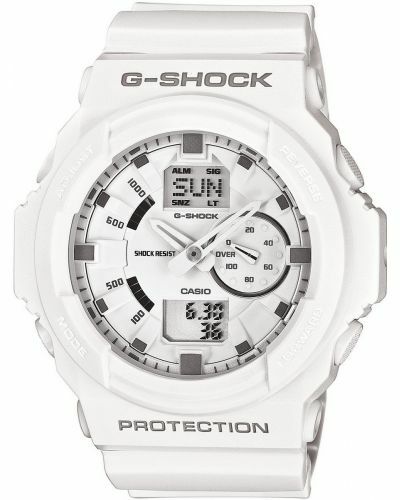 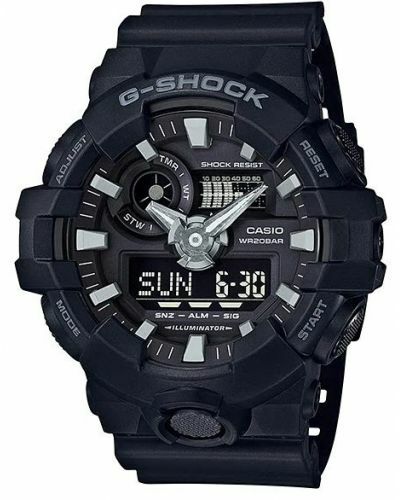 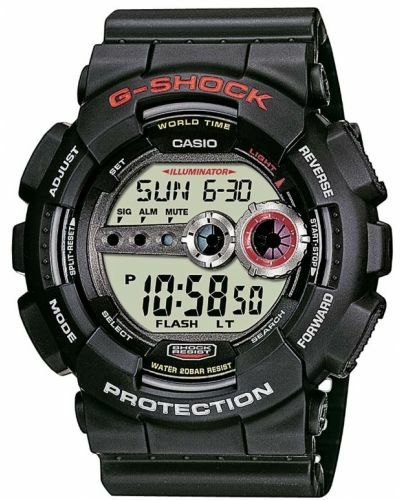 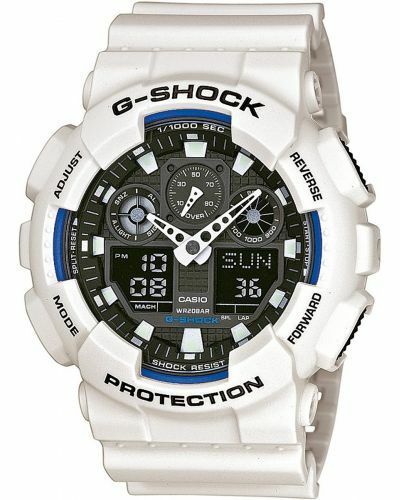 Water resistant up to 200 meters, this Casio G-Shock can be worn whilst swimming and free diving but should not be worn whilat scuba-diving. 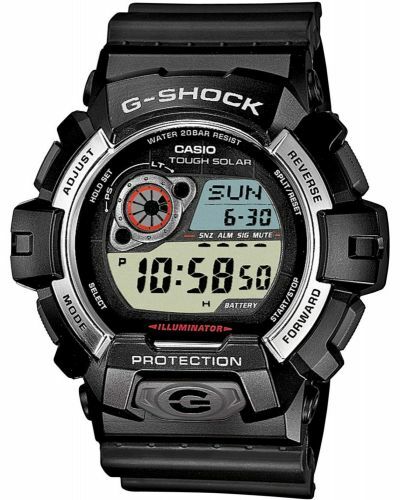 The LCD digital display provides excellent clarity and legibility in all light conditions and the multi-function dial can be customised to your personal needs.